Check out what’s going on at Holy Name! To receive emails or texts about upcoming events, sign up for FlockNote at the bottom of the page. 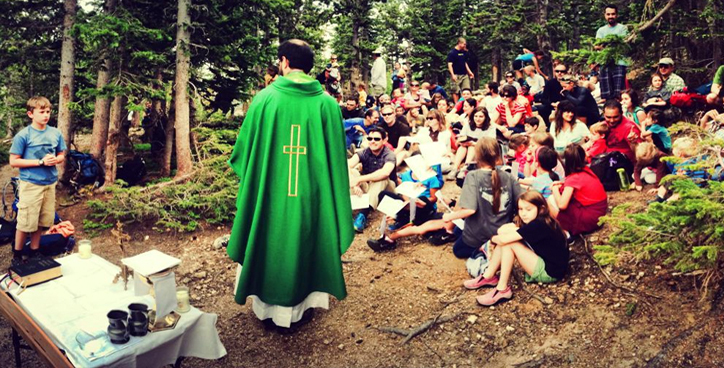 We’ll celebrate Mass at the St. Malo’s Chapel on the Rock, then go for a hike in the Allenspark area. Families and hikers of all skill levels welcome! Meet at the parish to carpool at 9am. We’ll plan to be back in the mid-afternoon. On the weekend anniversary of the Dedication of our new Sanctuary, the Holy Name Schola will present motets and other musical pieces. Hors d’oeuvres and cocktails to follow in the St. Agnes Center. Check out all of the things going on at Holy Name! To receive emails or texts about upcoming events, sign up for FlockNote at the bottom of the page.